It’s about 3pm and I know a lot of you are probably sitting at work, tapping your foot waiting for the day to be over. That can only mean one thing, it’s Monday or you really just hate your job. I’m going to go with it being Monday! Yes loves, it’s Monday again. Sheesh the days are flying aren’t they? I missed you guys last week but how are we doing with staying motivated since my last post? Good hopefully.. I must admit I awoke today not on the wrong side of the bed, but on the wrong side of the head. We all have our days when we wake up and quite frankly want to roll over and sleep the day away because we just aren’t feeling it. Is that the tone we really want to set for our week? Not at all. 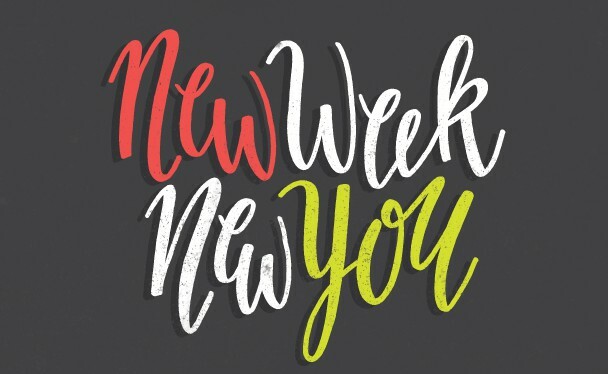 New week, new you. Are you breathing? Yes you are so that in itself should be enough motivation to keep pushing. It takes 30 days to form a habit and sometimes years to break one. Today I challenge you to start your journey on breaking those bad habits you have. Whether it’s procrastinating, overspending, or something as simple as taking too many naps. Our bad habits have the power to destroy us if we aren’t careful. So today is the start to gaining a new habit that will have the power to help us build and grow. Your path to success may not be clear right now but that doesn’t mean you should u-turn and go back the way you came. The starting phase is always the hardest but say to yourself “I am resilient and can do whatever I set out to do” you may fall and there is always a way to get back up, whether you do it alone or with help. Moving slow is better than not moving at all. Today is a great day to be great, and a great day to be brand new. Your habits influence your life, make sure they are good ones! Let your flaws empower you.